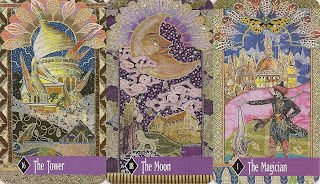 The Zerner-Farber Tarot is a reworking of The Enchanted Tarot. While The Enchanted Tarot edition sets the artwork on a white background within a colour coded border, The card titles of the Zerner-Farber edition are set on a colour coded stripe at the bottom of the card - Purple for the Majors, green for Pentacles, blue for Swords, orange for Wands and pink for Hearts (which replace Cups). The art is collage combining textile, embroidery, paper and found objects. 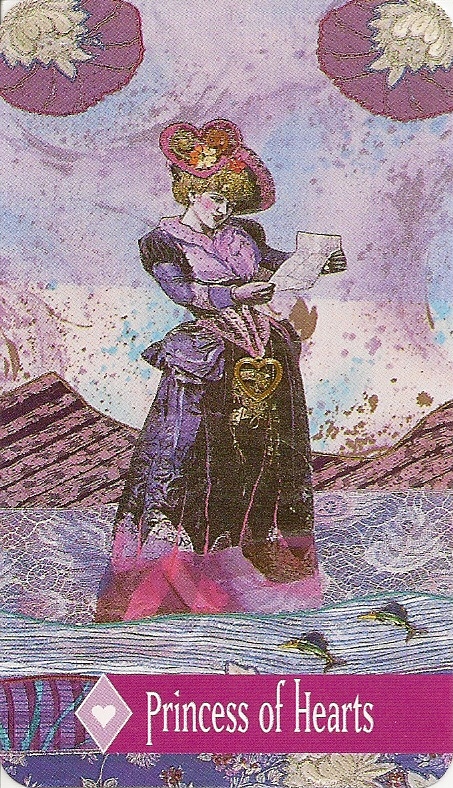 The backs of the cards are purple with a reversible monogram of the artist's and author's initials.